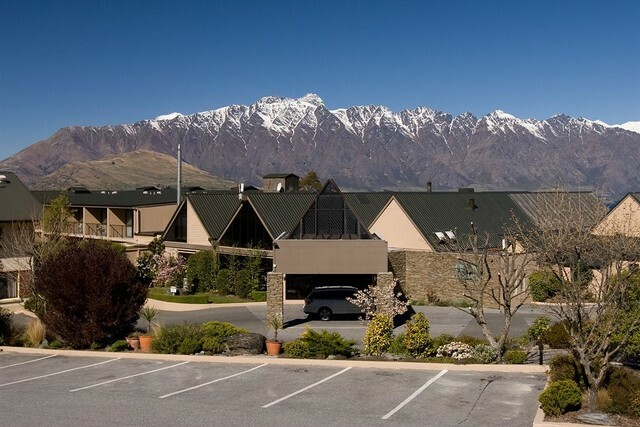 Tanoa Aspen Hotel, situated atop Fernhill, overlooks the adventure playground of Queenstown. 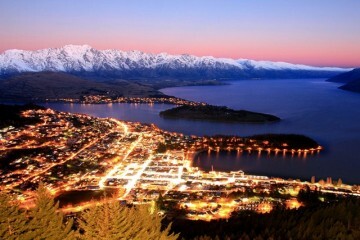 Summer or winter, Queenstown has something to offer. It's a fantastic, not-to-be-missed area to explore during your New Zealand holiday. 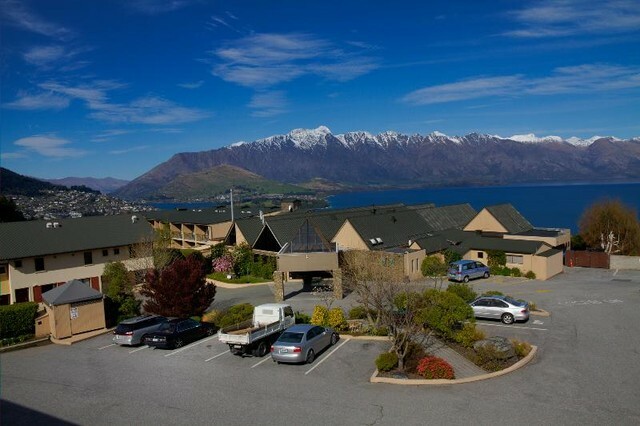 Tanoa Aspen Hotel offers alpine ambience, stunning scenery and spectacular views of Lake Wakatipu and the Remarkables mountain range. 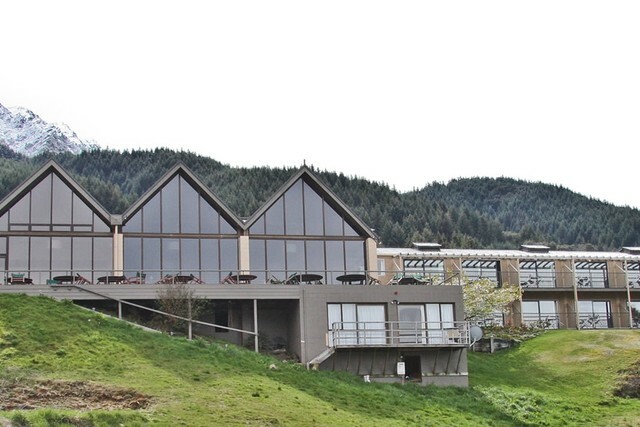 Tanoa Aspen Hotel offers a full range of guest services and facilities to help make your stay memorable. 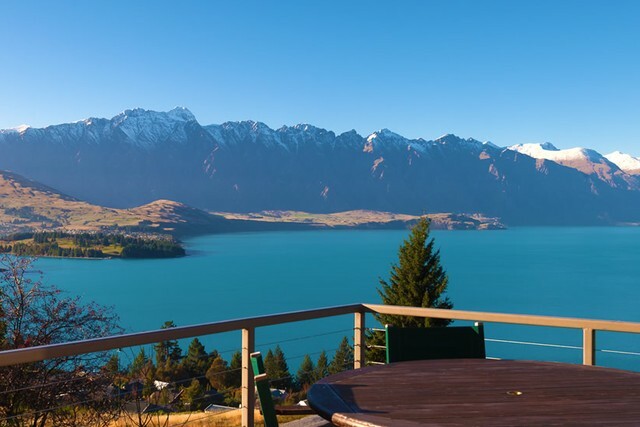 Whether you'd like to take a tour, explore the region by bus, enjoy one of the many activities that Queenstown has to offer, or just take a relaxing spa, there is something for you. There are two spa pools available for guests, a ski and snowboard drying area, tour desk, guest laundry and dry cleaning service. Connectabus runs every half hour between the hours of 7.00am and 11.00pm daily in front of reception. There are very favourable rates into town and the surrounding area. 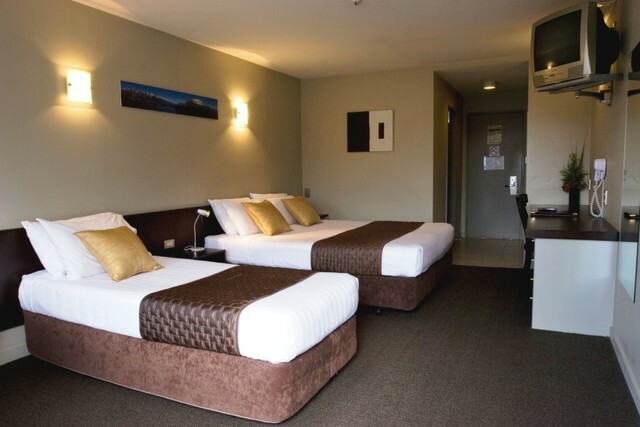 Standard Courtyard Room - available in twin, triple or king bed configuration available depending on your needs. On the upper level they have a private balcony. 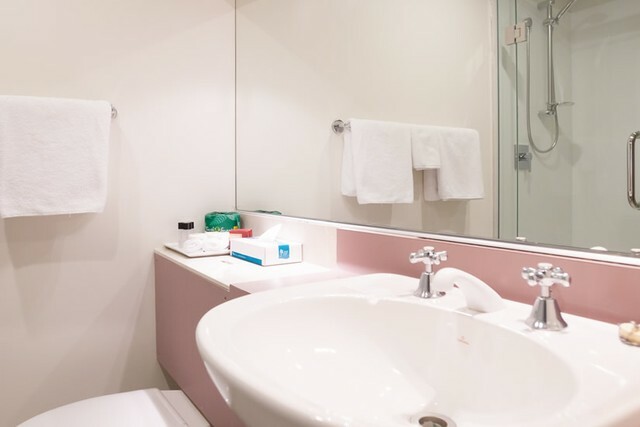 Each room has refrigerator, TV with in-house movies and ensuite bathroom. 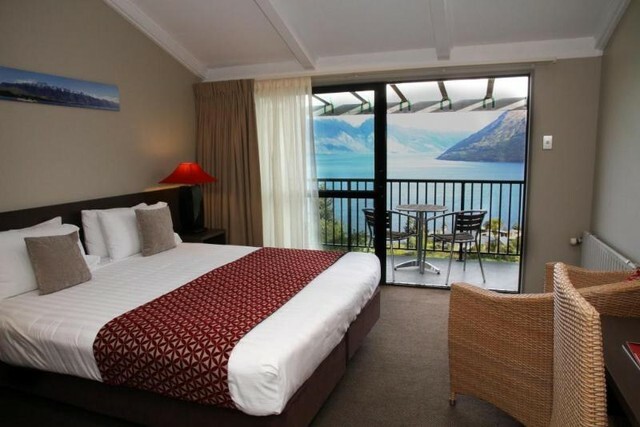 Partial lake and mountain views available in most rooms. Superior Room - feature a queen bed plus a single bed. 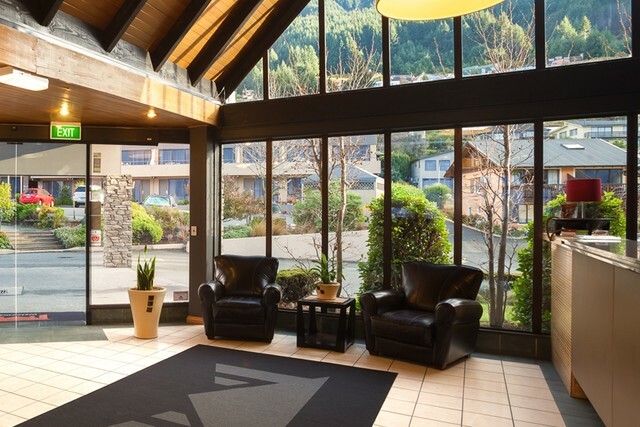 All offer views towards the majestic Ben Lomond Mountain Range and take advantage of the warm afternoon sun. Very spacious rooms with some that open out onto your own private balcony or onto a lovely grassed courtyard area. All rooms have LCD screens, ensuite bathrooms with shower, tea & coffee making facilities, in room refrigerator and large wardrobe areas. 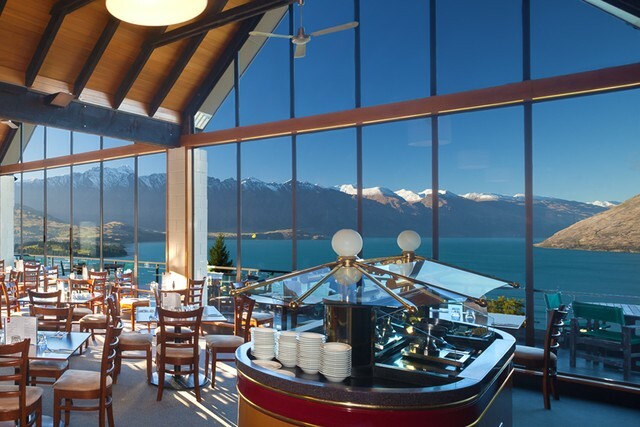 Lake View Room - offer stunning views over Lake Wakatipu and Remarkable ranges. 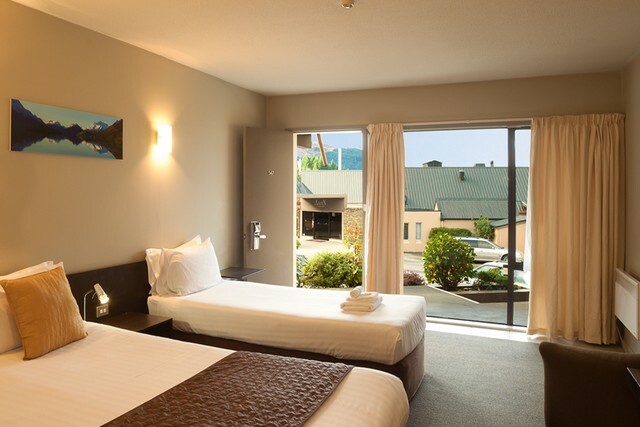 The rooms are all newly refurbished with new king split beds, iPod dock/clock radio, and new furniture including LCD televisions. They have an ensuite bathroom with shower only. 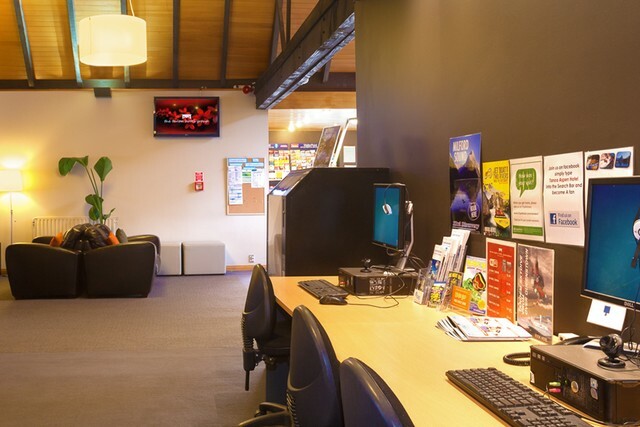 Tea and coffee-making facilities and WIFI are available for a small additional cost.